Mackenzie & Ebert Ltd have helped Royal Lytham & St Annes Golf Club to prepare its course for its 11th Open Championship. This has involved a significant amount of work carried out over a two year period. It has included a new 7th green, dune construction, the addition of new tees and adjustments to bunkering on most holes to maintain the test of this great old links. 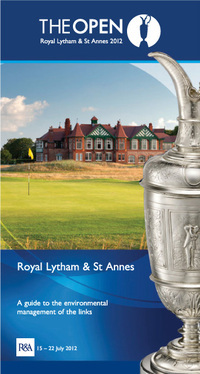 The guide to the environmental management of the links at this year’s Open venue, Royal Lytham & St Annes, is now available. This booklet is one of a series covering all of the Open venues with the aim of raising awareness of wildlife and the role golf is playing in managing and conserving the environment in which the game is played. 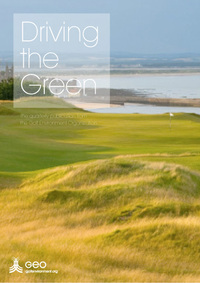 Importantly, they show just how golf and environmental bodies are working together to protect our natural heritage. As the sustainability movement within golf continues to gather pace, driven from many corners of the industry, the new Driving the Green newsletter is for sharing ideas, inspiration and results. 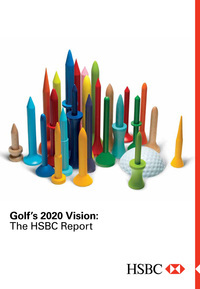 HSBC has teamed up with leading consumer research agency The Futures Company to produce “Golf’s 2020 Vision”, a detailed look at the future of golf over the next eight years based on interviews with a host of leading industry experts and players such as Padraig Harrington, Colin Montgomerie, Gary Player and Annika Sorenstam. A round up of recently published articles from a range of magazines and online newsletters. 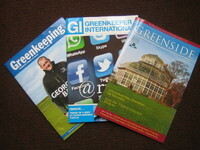 All the usual titles have been covered, including the latest issues of Golf Course Architecture, Greenkeeper International, Greenkeeping and the STRI Bulletin for Sports Surface Management.